Sally Rumsey shares her reflections on the changing open access environment and experiences from the University of Oxford. Cast your mind back 15 years to the earlier days of open access. 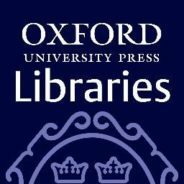 In 2002 the University of Oxford contributed to the SHERPA project, with a collaborative pilot between the then OULS (Oxford University Library Services) and OUP. In 2006 we set up a new institutional repository service that launched very quietly in early 2007. With support from what is now the Bodleian Libraries, we were operating on a shoestring (like many institutions), and referring to the relatively new funder policies to try to engender interest and compliance across disciplines and amongst academics. Some disciplines were motoring with respect to OA – most notably high-energy physics and economics in repositories; OA publication in life sciences journals was growing. Others ranged from lukewarm to completely uninterested. A change to University regulations was agreed in 2007 that digital copies of research theses should be deposited into the repository as a condition of award, which was a major breakthrough. In 2009 the Libraries set up a research data repository in parallel to the publications repository, and during that period we participated in a number of Jisc-funded repository related projects. These projects helped build knowledge and sections of our repository service. However, up until 2015 we were lucky to be receiving 100 deposits of copies of scholarly publications per month. Here we are in 2017 upgrading our 10-year-old repository to a system that is robust and fit for 21st century research dissemination. Most notably, the repository service has mushroomed into a central university service currently receiving around 1,100 – 1,200 deposits of copies of research publications per month. That is about 1,000 percent increase in deposits. Coupled with this our Electronic Resources staff are managing a growing APC processing service, and our subject librarians, led by our OA Librarian, are staffing our well-used OA enquiry line. Academics and research administrators participating in University committees are using terminology such as ‘green,’ ‘gold,’ ‘CC-BY’ and SHERPA-Romeo: complete gobbledygook to such folk not that long ago. The culture change that we in libraries were struggling to promote, appears to be happening. The most obvious cause of change in the UK has been the policies (and their policing) of Wellcome Trust/COAF, RCUK, and HEFCE for the forthcoming REF2021. Although these have been the main catalysts, I detect a more subtle culture change that is happening at the grass roots i.e. by the researchers themselves. To disseminate your research in the past, it was necessary to follow the standard traditional publishing route – publish in a respectable journal and those people who have paid can read your paper – plus you can post a few copies to your mates. Today, in order to get your research noticed and ‘out there,’ there are many more options available. The ‘standard’ route is being enhanced, and many researchers don’t want to be confined to a single model, or to limited sharing of their work. The University of Oxford’s response to the HEFCE REF2021 OA policy was to implement its ‘Act on Acceptance’ (AoA) initiative, whereby academics and researchers deposit the accepted manuscript into the University repository within three months of acceptance for publication. Although this has been a significant driver for OA, the awareness and take-up of ‘open’ for publications in its broadest sense by academics, is helping to support AoA. The one now complements the other. The repository and what it offers – secure local copies, extra visibility and discovery, links to published versions, and a shop-window of Oxford research – is now an accepted central University service. The libraries have set up technical and ‘soft’ services to support open approaches to research dissemination. However, continued training, communications and guidance is necessary to ensure authors know what they need to do, what they are entitled to do, and how to overcome hurdles to what they want to do, to be open. Our systems are working, but would benefit from further development. We would like to increase efficiency and accuracy by employing more unique identifiers, for example ORCIDs for all authors and DOIs for accepted manuscripts. Increased automation is a goal – but it is largely dependent on external parties such as publishers, funders, and other services (eg Jisc services) also implementing such identifiers in a standardized way. We continue to work with these external parties to describe to them our requirements – our own requirements have to be driven by our academics and the strategic and administrative needs of the University. We realize that our services are in ‘permanent beta’ with the need to adapt to rapidly changing requirements. In my opinion, we are observing a fundamental shift from a scenario where ‘open scholarship’ comprised a number of OA enthusiasts + others who adopted OA for compliance (because they had to), to one where the majority of researchers choose to take advantage of many facets of open scholarship. Sally Rumsey, head of Scholarly Communications & RDM, Bodleian Libraries, is the Libraries’ strategic lead for open access, research data and scholarly communications. She oversees the university’s repository service for research outputs, Oxford University Research Archive (ORA and ORA-Data). Sally is a member of the CASRAI-UK Steering Group, past chair of CASRAI-UK OA Group, and a member of the Jisc Publications Router Community Advisory and Router-Symplectic Elements Interoperability Groups.